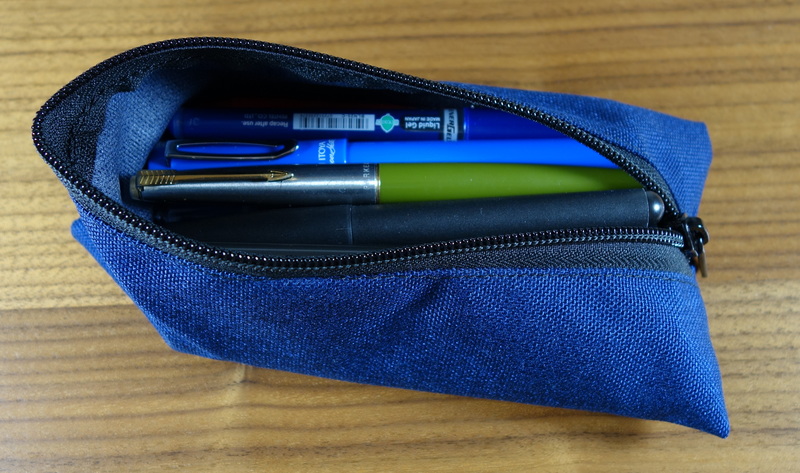 The Chimneytop is a simple zippered pouch for pens and accessories. They are sold as a set of two, you get one small size and one medium size. They are made out of a 1000D textured nylon that is very much like Cordura. The small size measures about 7″ long and the medium measures about 7.5″ long. I found both of them to be a tight squeeze from my freshly sharpened wooden pencils. This isn’t a big deal as soft cases are not ideal for carrying wooden pencils but I thought it was worth pointing out. Bottom of the medium Chimneytop. Per the Nock Co. website the small Chimneytop has a capacity of 6 pens and the medium has a 12 pen capacity. 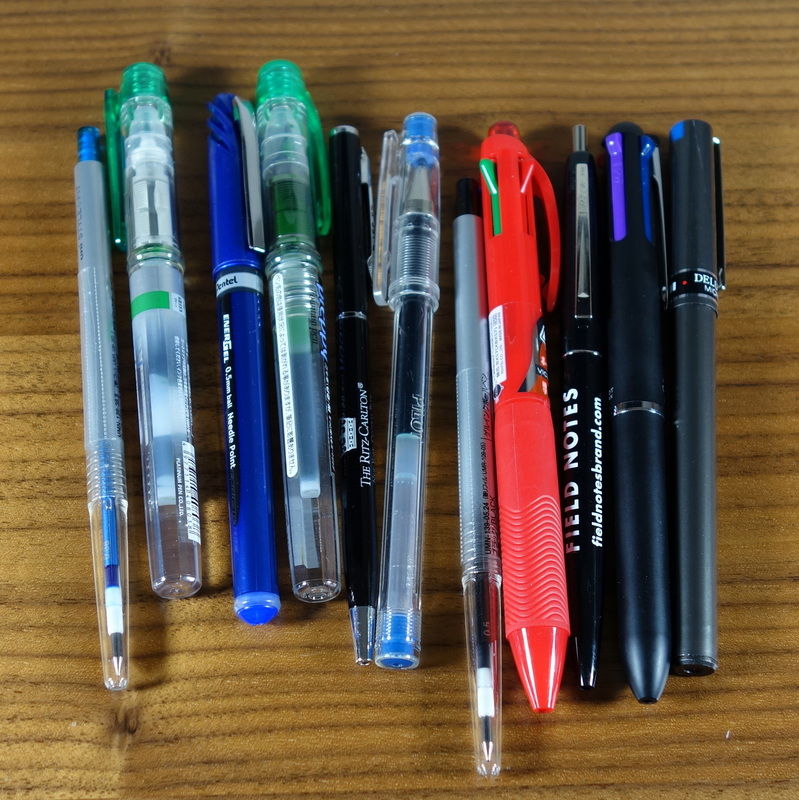 I was able to almost double these figures but obviously the size of the pens you carry is an important factor. Small Chimneytop with 11 pens. Not a bad stash for such a small case. 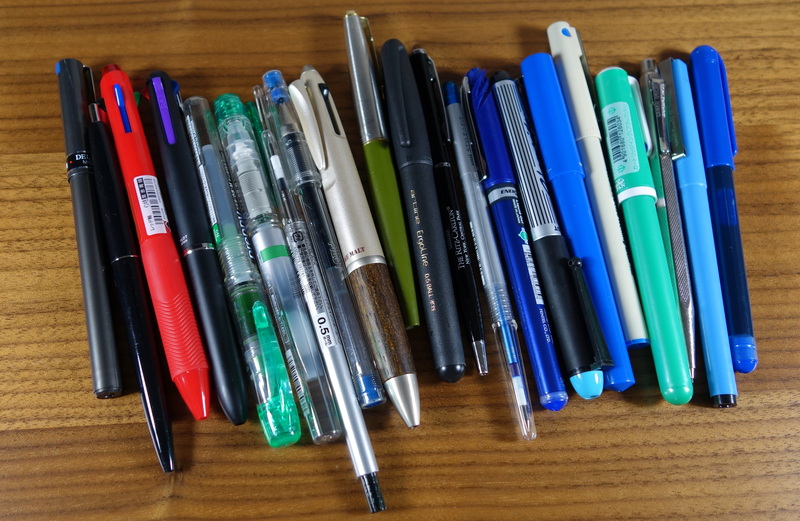 Medium Chimneytop with 21 pens. I found that I preferred the smaller size. It’s proportions are a bit more attractive to me and the thick 1000D fabric gives the small Chimneytop more structure than the medium which was more blob like. The set is sold for $12 and for an American-made product constructed out of hardwearing materials the price is a steal. 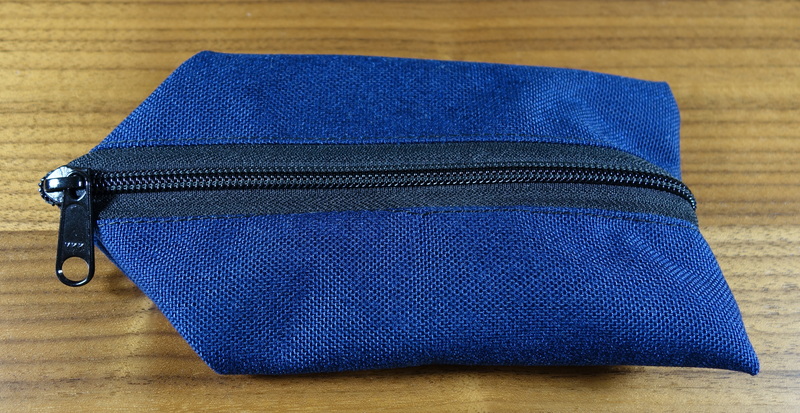 patrickrhone – A Brief Review — The Chimneytop Pop-Up Zip Case by Nock Co. Thanks for the great review! One tip: you get a medium and a small Chimneytop for $12, not just one of them. Hopefully that makes it better! Hi Brad, thanks for letting me know. My apologies for the error. I have updated my post. 2 for $12 is an awesome deal.